The nominees were announced November 2, 2017. This year, the ceremony will be held at the Theatre at Ace Hotel on Monday, January 29th. Here are some numbers for you. 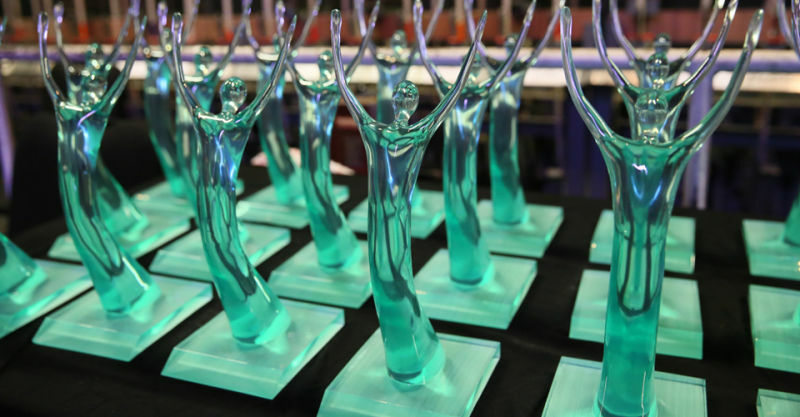 This voting season, there were 263 total productions registered for the Ovation Awards from 106 different producing bodies, resulting in 197 total nominations for 70 productions presented by 43 organizations. These productions were voted on by 245 Ovation Awards voters — vetted individuals from the Greater Los Angeles area who are working theatre professionals. Congratulations to AMDA Faculty member Thomas O’Leary for the direction of the Actor’s Co-op production of 33 Variations. The production was nominated for 8 ovation awards (Best Production of a Play (Intimate Theatre); Direction of a Play; Acting Ensemble of a Play; Lighting Design (Intimate Theatre); Scenic Design (Intimate Theatre); Sound Design (Intimate Theatre); Costume Design (Intimate Theatre); &Video/Projection Design). Original article and a complete list of nominees.